Having an online accountant can be a big time and cost saver and there are numerous benefits to choosing Elver Consultancy as your online accountant and taxation services provider. We offer fixed fees with unlimited support and will work to ensure that you are as tax efficient as possible. Support can also be provided by telephone or email. And if you want to put a face to the name, why not try Skype? Your geographical location does not therefore present any barriers, enabling us to provide an efficient and reliable service to any business wherever you are in the UK. Most businesses using an online accountant will use a cloud accounting package and at Elver Consultancy we recommend Xero. 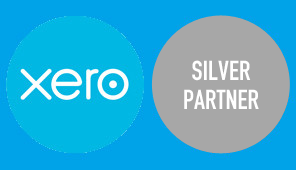 Xero is an internet based package, enabling resources to be shared between multiple computers and other devices on demand. You can share access to your system with us, enabling us to post journals directly into your system, and to provide support and advice. You can access your system anytime, anywhere. We will also provide access to a shared folder, enabling spreadsheets and other documents to be easily shared. It may be sufficient for your business records to be maintained on spreadsheet, thus saving the cost of a cloud accounting package. Whether you are a sole trade, company, partnership, limited liability partnership or contractor, Elver Consultancy has the package for you. So, why not give us a call, or use the contact form to find out how we can help your business. What's included in your fee? For sole traders and partnerships the fee includes a full set of accounts and completion and submission of the self assessment tax return(s). For limited companies the fee includes all necessary accounts and returns to HMRC and Companies House. For both sole traders and limited companies, completion and submission of VAT returns to HMRC are included. Director’s personal tax returns, can be included, fees starting at £50 + vat per return. All packages include unlimited help and assistance throughout the year. How do I register my business with HMRC? All HMRC registrations are done by us at no additional cost to you. How often do I need to send my records to you? This really depends on your circumstances. In some instances it will be sufficient to send them annually. If you are VAT Registered then these will need to be completed quarterly, but if we are providing monthly management accounts then you will need to send them monthly. Some of the online packages above allow you to upload documents and attach them to transactions, in which case there is very little need to send us anything if you use this facility. We can also provide a shared folder into which you can save documents. How do I send my records to you? If you are using one of the suggested cloud packages then you will be able to upload your documents onto that system. We can also provide a shared folder for you to save documents to. Alternatively you can e mail documents as an attachment. You could even post them (but we would recommend using special delivery). We would liaise with your existing accountant and manage the process for you. You will only need to give them your authority for them to communicate and to provide information to us. Are there any other charges I will incur? No, fees include ongoing support and advice. No, our work is not outsourced and you will have a consistent point of contact.